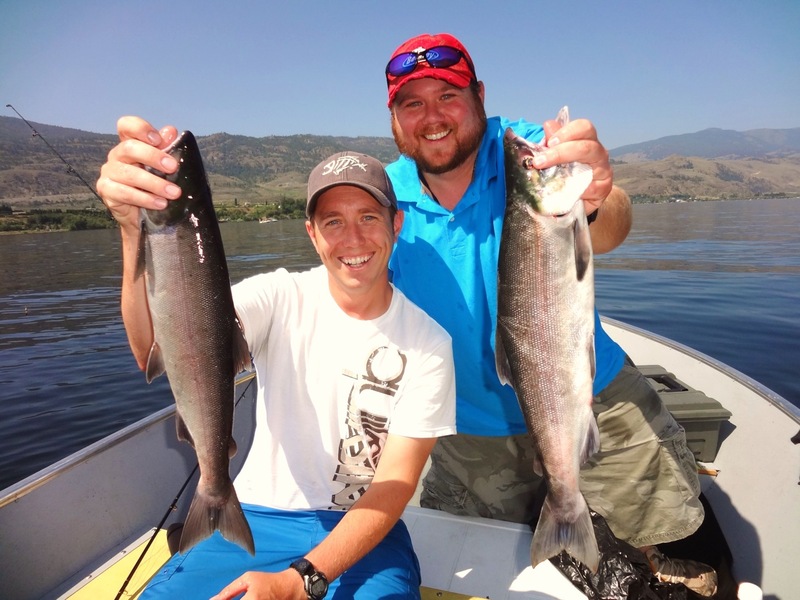 Osoyoos Lake has close to a 20kms of parameter shoreline to fish and it can take some time to locate the active bass. A good place to start is the drop off ledges, weed lines and any other types of structure that can provide bass with cover from the warmer temperatures. Smallmouth Bass especially like drop off ledges as it provides good points to ambush bait fish. Fishing along the edges of weeds can also bring you success as the bass like to lay and wait for their prey to swim by. The lures of choice vary from fast action crankbaits to soft plastics. A good technique to practice is to use a fast reaction lure to find the vigorous fish. These lures can be spinnerbaits, crankbaits or even top waters. Crankbaits in Pumpkin Seed or Shad patterns are really hot on Osoyoos. Once you have located these fish; toss out soft plastic baits such as tubes and worms (Senkos). I like to have numerous rods rigged in the boat with a few options. If a fish follows your crankbait to the boat or gets off, try immediately pitching a soft plastic back in the area that you lost the fish or where it missed the bait. The bass doesn’t know that it was chasing a lure; it most likely is still looking around for the bait that it just lost. Once it sees the slower moving soft plastic in the water it will usually nail it! This is a good practice if you are fishing with a partner. 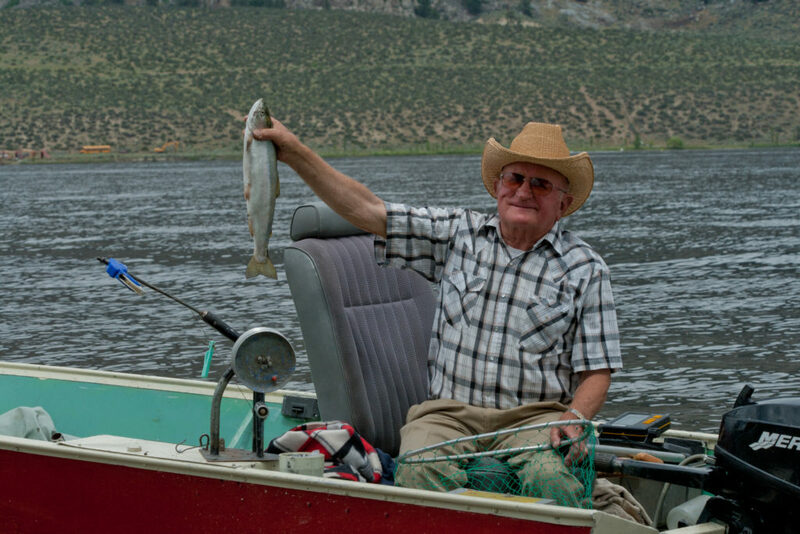 If you miss a fish, have your fishing partner make the cast instantly in the same area. There is a good chance that the fish will hit it or many times other bass will have chased in the lure as well. We’ve had much success by catching multiple bass back to back in the same area because the first bass that chased your presentation triggered a feeding frenzy with the others. In the Okanagan, weather changes can come quickly in the early summer period. Bass don’t prefer transition days. If the weather is calling for a big change in temperature avoid the first day of the change. An example of this is if the weather is warming up from 3 days of rain; I target the second day of consistent warmer sunny weather rather than the first hot day. This has also proven for me from hot to colder temperatures as well. If the sun is really bright you will need to target these bass in or near structure such as docks and heavy covered weed beds. Large submerged boulders or irrigation pipes also provide good hide outs for these fish. Windy days prove well as the wind stirs up the bait fish and starts to ignite the underwater world. The primetime to target these smallies is in early morning right at day break or later evening just as the sun goes behind the hills. Listen for splashes on the water surface as small mouth will chase bait fish near the top. This will help you locate where the active bass are. Top water lures early in the morning can bring a tremendous amount of success and a lot of fun action while you watch the fish boil on the surface as it takes your lure! 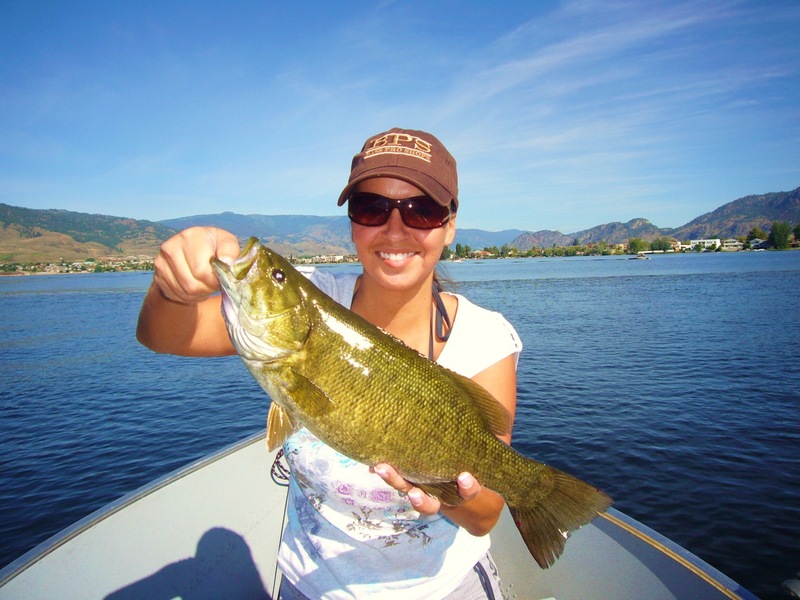 Early summer fishing for Smallmouth Bass on Osoyoos Lake can provide a pleasing angling experience but be prepared to change up your approach while on the water. Find the pattern that is working the best. Play this rule; 1st bite is a fluke, 2nd is a beginning of a pattern and 3rd is a proven method. It is well worth getting up early and taking advantage of the early morning fishing. At times you will be one of the few boats on the water which is a big treat while on Osoyoos Lake.